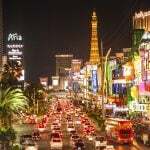 Las Vegas is a visually-striking city with the magnificent billboards and psychedelic light shows. 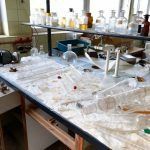 However, it is often credited for its glorious man-made structures, rather than its natural beauty. 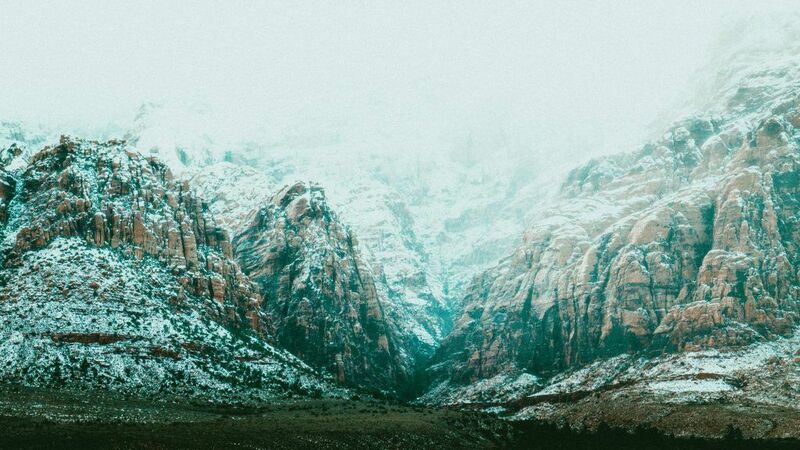 To celebrate National Wilderness Month, here’s a selection of stunning photos that you will be shocked to find were actually taken in and around Sin City. 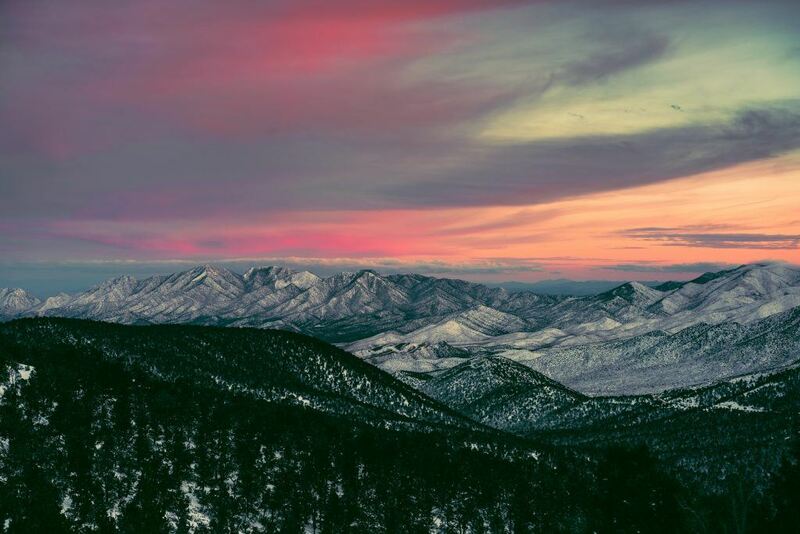 The desert that surrounds Las Vegas might well be infamous for providing the setting for the grisly demise of more than one victim of the mob but there is no denying that it also offers some absolutely incredible vistas. 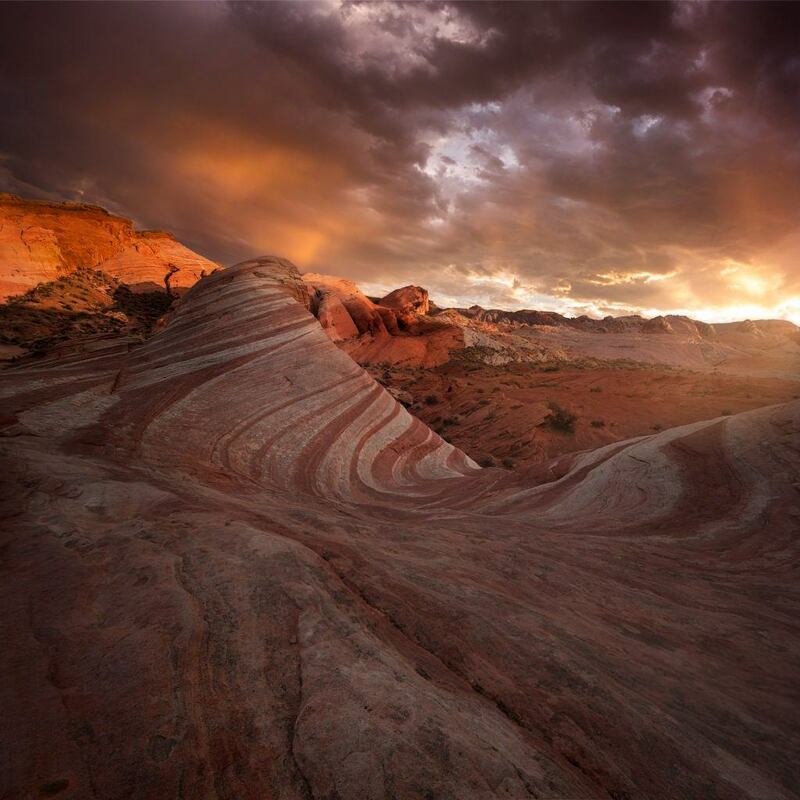 The Fire Wave rock formation that can be found in the Valley of Fire State Park is a fine example of this. The landscape resembles the terrain of Mars more than our own planet but it is simply breath-taking. Snow… in Las Vegas… eh? Well, you might well be confused but the fact is that it does actually snow in Nevada over the Christmas period now and again. You could be forgiven for mistaking this picture as being somewhere like Aspen or the French Alps but this is a serene image of the Centennial Hills iced with a covering of snowfall. It is a world away from the warm and sunny climate we stereotypically associate with Vegas but no less beautiful. More Las Vegas snow! 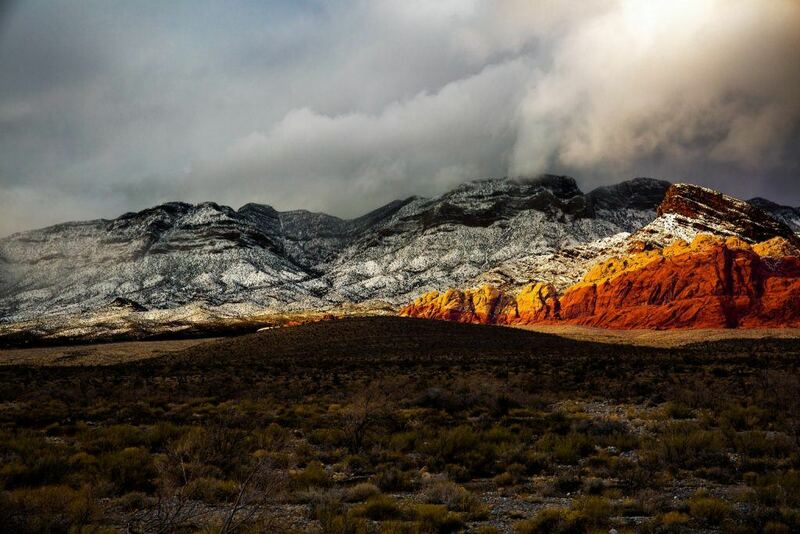 This is a shot of the Red Rock Canyon terrain dusted with snow. It looks wonderfully peaceful, making it seem a world away from the hustle and bustle of the Strip. Nope, this is not Iceland or Lapland – it’s all just 15 minutes outside the Vegas city boundaries. Light pollution is a big issue for Las Vegas right now. The beams that light up the skies above the city are produced by the super casinos and create an awesome backdrop to the city each night. Unfortunately, the lights also kill almost any hope visitors might have of seeing the stars at night. 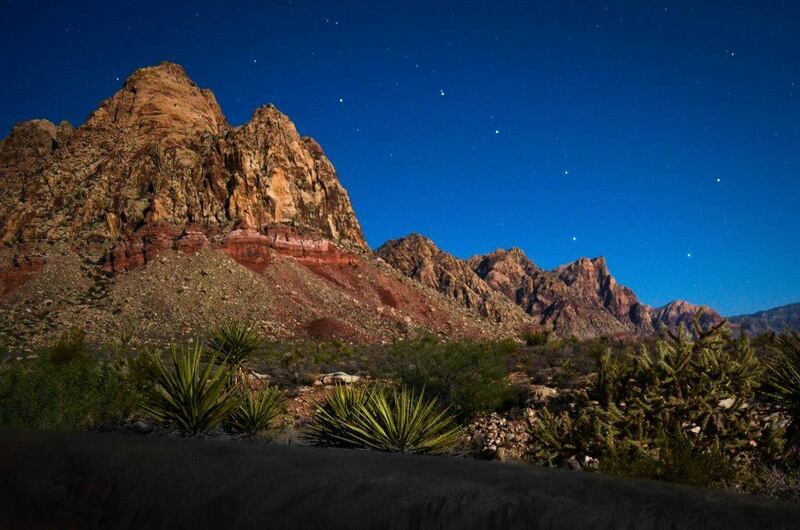 Luckily, there are places just outside the city such as the Big Dipper in the Red Rock Canyon where the sky comes alive with natural starlight. Situated away from the glow of the Strip, you can clearly see in this image how much clearer the skies are. This photo looks like it could have been taken in the middle of the Australian outback or in a secluded area of Peru but it’s actually just the local Las Vegas national park. The Red Rock Canyon is again the inspiration for showing Las Vegas at its most unimaginable. Contrast is the king here – that glistening snow that coats the hills blending into the red sands of the desert below. How many places in the world will you see snow and sand meet in such a magical way? It is genuinely mind-blowing. If you have ever been lucky enough to visit the islands of Scotland, like the Isle of Skye or the Isle of Mull, or you’ve been to the fjords of Norway, then you might have a similar photo to this in your collection. This isn’t on the other side of the world though, it’s literally in Las Vegas’ backyard. 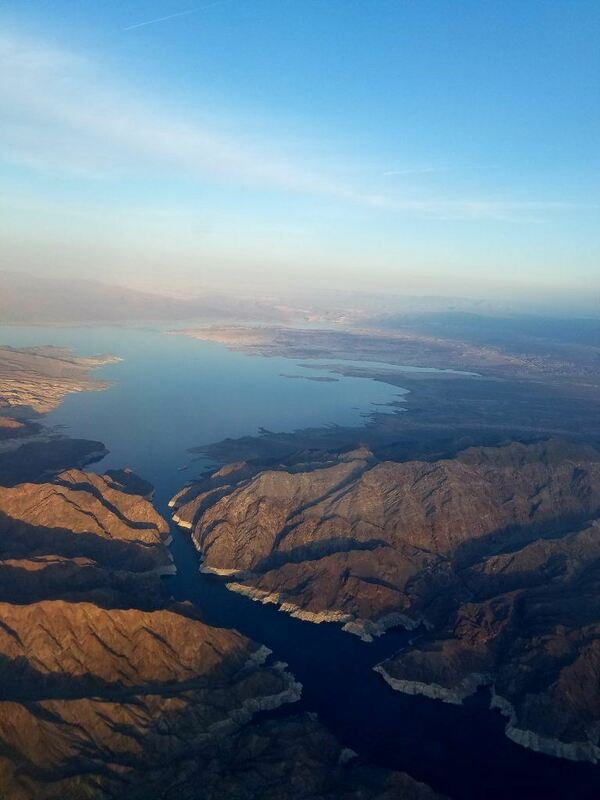 The water is so clear and blue with the sun kissing the surrounding land, it looks like something from a fantasy movie but it is in fact Lake Meade, located close to the Hoover Dam. 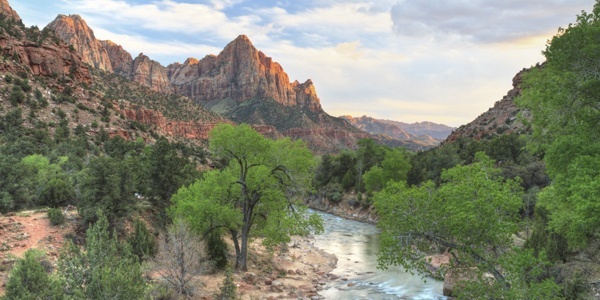 It might appear to be a picture taken of a live-action movie version of The Land Before Time but this is Zion National Park, which can be found just outside Vegas. 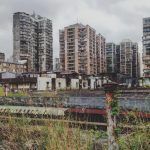 The mix of canyon landscape that overshadows the lush greenery of the valley with the fresh river flowing through it is close to what could be described as paradise. Is such serenity possible so close to the chaos of the city of sin? Apparently it really is. The casinos of Las Vegas are well-known for their sumptuous interior décor and striking light displays. 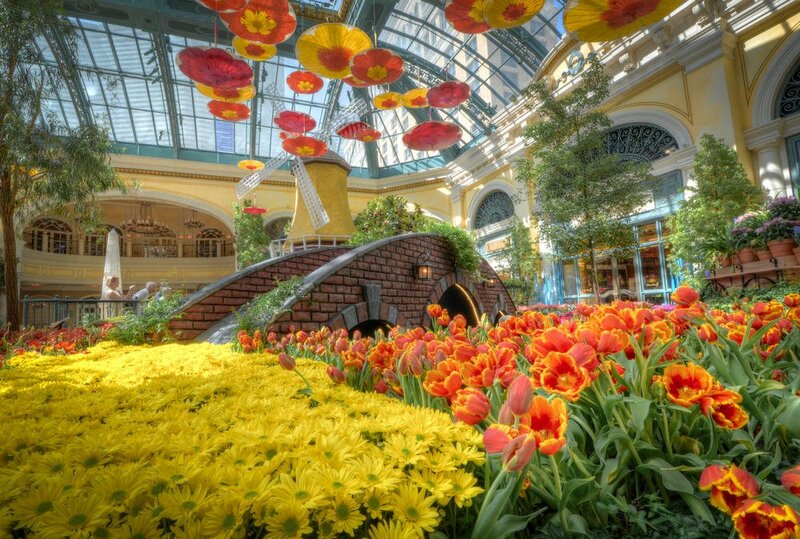 In this instance, this is the peaceful flower display located inside the Bellagio. 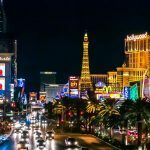 The casino might be more noted for its world-famous Bellagio Fountains but the tranquillity created by this display is proof that sometimes you need to look past the grandeur of Vegas to discover the real treats of the city.